The summer party for the UK & Ireland chapter for Meetings Professionals International (MPI) took place in the gallery in the crypt at St Martins-in-the-Field, Trafalgar Square in London, last night (September 17). The MPI UK & Ireland board were celebrating the chapter's 18-year anniversary, as well as the 40th anniversary of MPI on a global scale. 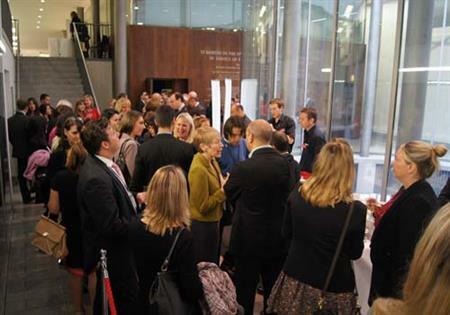 MPI is a professional membership organisation for association, corporate and independent meeting planners. Membership is comprised of more than 21,000 members belonging to 71 chapters and clubs worldwide. Samme Allen, MPI UK and Ireland president and head of sales at the Barbican, says: "MPI is the event industry’s most vibrant global community. Our aim is to help members become more successful by giving them the opportunities to build better connections through knowledge, ideas, relationships and marketplaces. Our AGM is a great place to learn more about what we do and what it offers."